Are you looking for sewer cleaning in Bergen County, NJ? First Choice Plumbing, Heating and Drain Service is a licensed and bonded plumbing company specializing in sewer cleaning in Bergen County, NJ. For homeowners the world over, sewers serve a very important purpose. But over time, sewers can get run down like any other piece of machinery and will require some clean up to get them working well again. At 1st Choice Plumbing, Heating and Drain Service, we not only offer installation services, but repair and cleaning as well. In terms of sewers specifically, our team of trusted professionals specialize in sewage pumps, sewer line cleaning and main line cleaning. We are fully insured, licensed and bonded, which guarantees that all of the work we do is of a high standard. If you need sewer cleaning in NJ, we are the company to call. Imagine you wake up in the middle of the night only to find that your sewage system has backed up and is not working properly. When a sewer fails to function properly, it cannot function as a conduit for waste disposal. If your sewer is not cleaned on a regular basis, it will indeed stop working the way it is supposed to, which will leave you and your neighbors with a big mess to deal with. With regular New Jersey sewer cleaning, your sewer will be in good shape and you will not have to worry about these issues disrupting your daily schedule. If your sewer has not been checked or maintained recently, you need to call the specialists at 1st Choice Plumbing for a proper sewer cleaning in NJ. We have the skills, experience and high-tech equipment to properly diagnose your sewer problems, find the cause of blockage and repair it within no time at all. We also offer emergency services 24/7 and free estimates on all of the work that we do. For more information about sewer cleaning in Bergen County, NJ, call First Choice Plumbing, Heating and Drains at 201-288-0390. 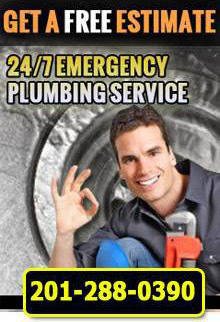 First Choice Plumbing, Heating and Drains - Your trusted source for sewer cleaning in Bergen County, NJ.